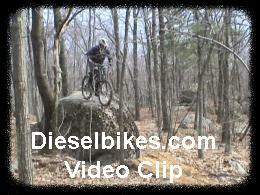 Vietnam is one of southern Massachusetts top riding spots for mountain bikers. Comprised of both public and private lands, the area known as Vietnam encompasses roughly 1000 acres spanning across the town of Milford and Holliston. Vietnam is not the official name for this area, but a name "coined" decades ago originally by dirt bikers whom cut many of the trails used today…or so the story goes. Regardless of how its name was established, Vietnam is loaded with natural and man-made technical trail features utilizing the surrounding rock formations. Miles of fast flowing single track with rolling hills, quick drop-offs and rocky descents will surely challenge both your mental and physical skills. Vietnam, like other trail locations, has a local group of rides whom consistently provide trail maintenance on a portion of land owned by NEMBA. This parcel of land is 47 acres and you will find many technical trail features in this area. However as always we suggest you ride with locals who know the trail network so that you can experience all the Vietnam has to offer. 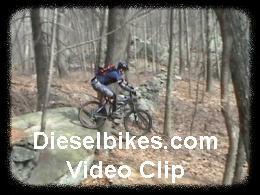 Below are a few video clips of mountain bikers have some fun in Vietnam.